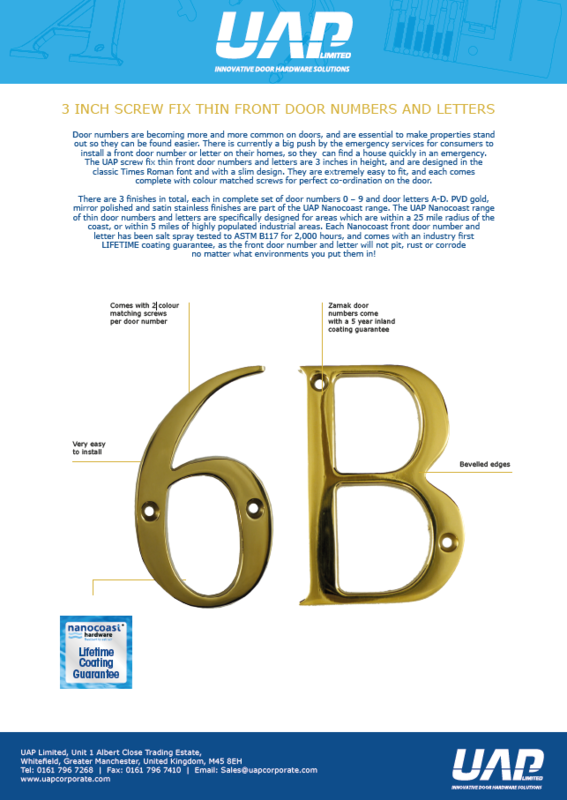 Door numbers are becoming more and more common on doors, and are essential to make properties stand out so they can be found easier. There is currently a big push by the emergency services for consumers to install a front door number or letter on their homes, so they can find a house quickly in an emergency. 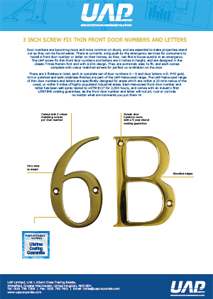 The UAP screw fix thin front door numbers and letters are 3 inches in height, and are designed in the classic Times Roman font and with a slim design. They are extremely easy to fit, and each comes complete with colour matched screws for perfect co-ordination on the door. 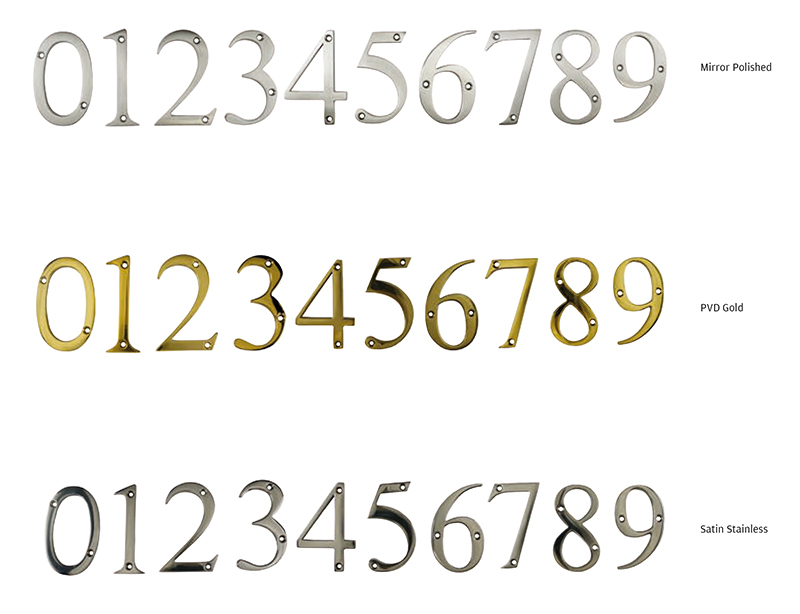 There are 3 finishes in total, each in complete set of door numbers 0 – 9 and door letters A-D. PVD gold, mirror polished and satin stainless finishes are part of the UAP Nanocoast range. 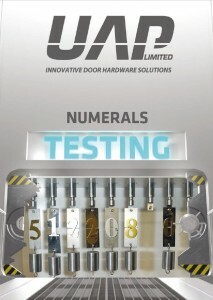 The UAP Nanocoast range of thin door numbers and letters are specifically designed for areas which are within a 25 mile radius of the coast, or within 5 miles of highly populated industrial areas. Each Nanocoast front door number and letter has been salt spray tested to ASTM B117 for 2,000 hours, and comes with an industry first LIFETIME coating guarantee, as the front door number and letter will not pit, rust or corrode no matter what environments you put them in!